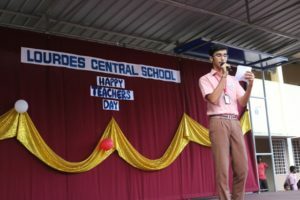 And the one day where we can do something for them is ‘Teachers’ Day. 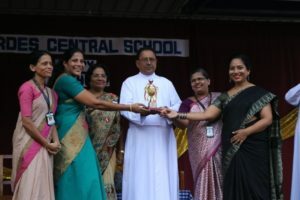 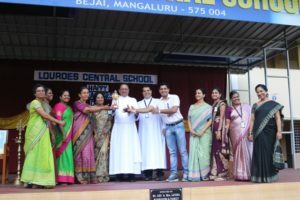 So, in connection with this celebration friendly teacher’ versus students’ friendly match were held on 4th September 2018. 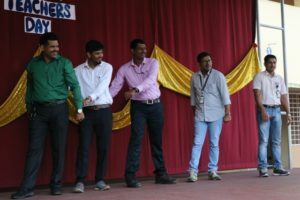 A cricket match was organised for the male staff, a throw ball match for the female staff and of course, our teachers emerged victorious. 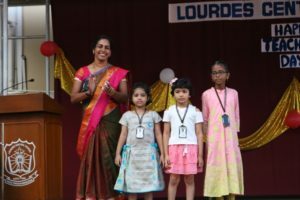 On 5th September was a brilliant programme organised by Krithika Kishore, Navya Bhandary and Anushka P Ullal for the staff of LCS. 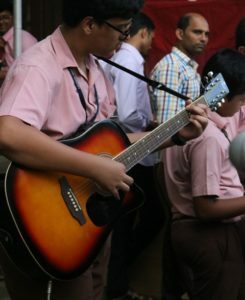 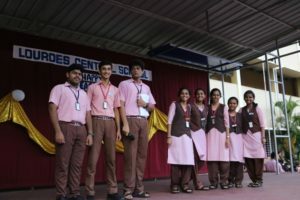 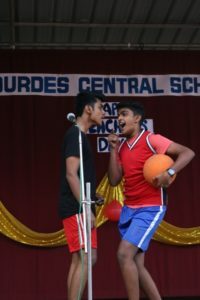 The show was compeered by Parvathy Menon and Yatin Satish. 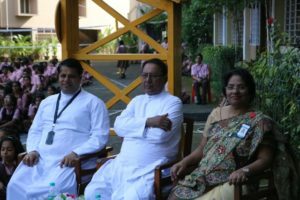 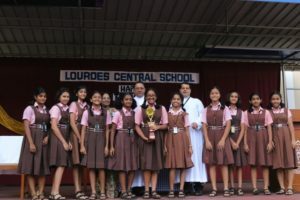 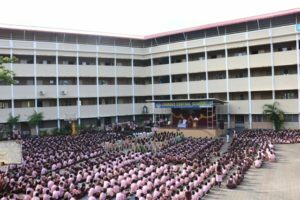 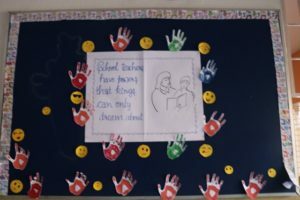 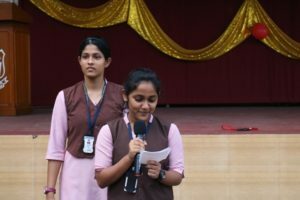 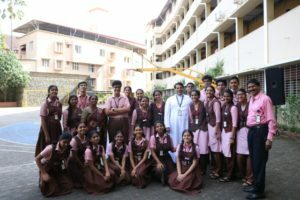 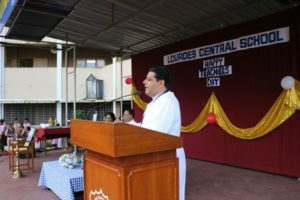 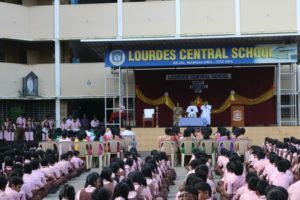 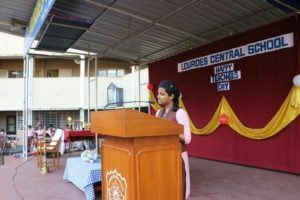 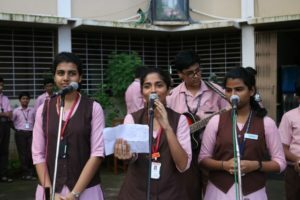 A beautiful thought was given by Hanan Musarikhan of class XII and the head girl Eva D’souza of class XII spoke about the significance of the day. 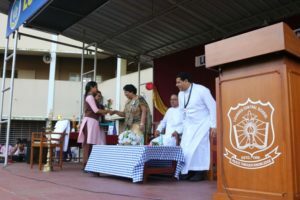 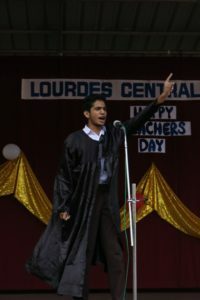 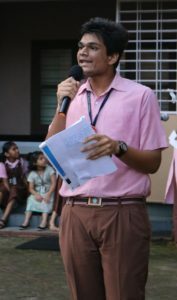 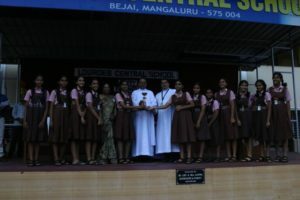 Father Manager, Father Principal and the representatives of the student council i.e. 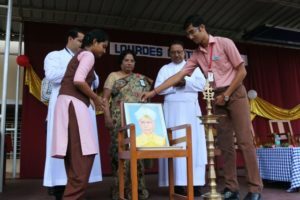 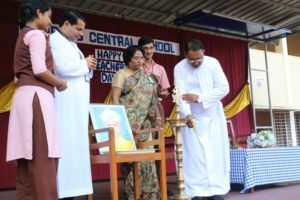 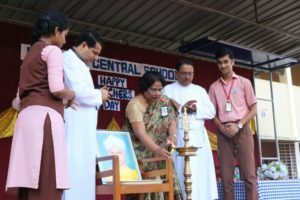 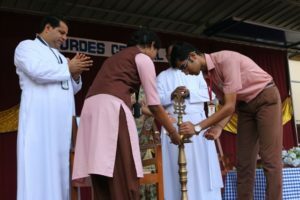 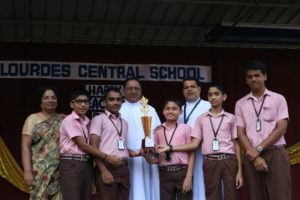 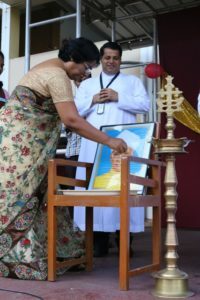 the head boy and head girl inaugurated the programme by unveiling a photo of Dr. Sarvapalli Radhakrishnan and lighting the lamp. 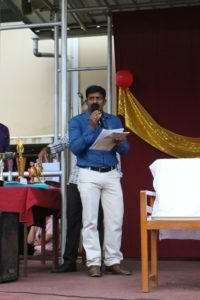 Father Manager and Father Principal graced the occasion with their wise words. 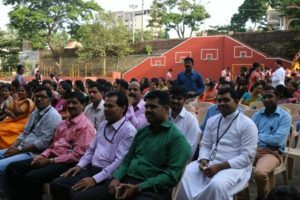 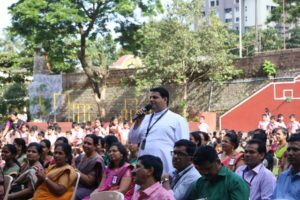 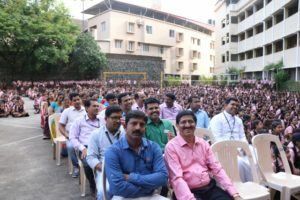 Father Principal then called upon the teachers of class X and XII to honour them for achieving 100% results for the 2017-18 batch of students. 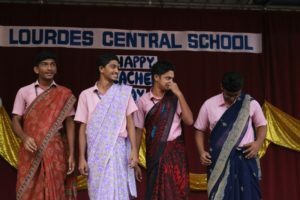 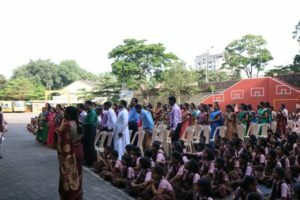 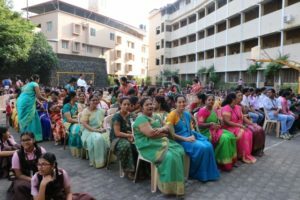 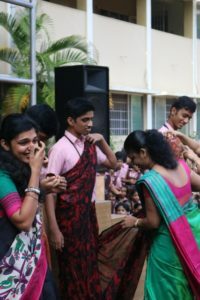 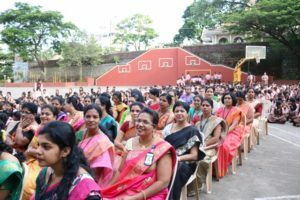 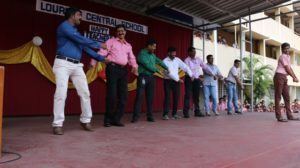 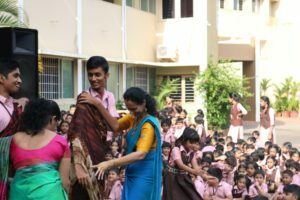 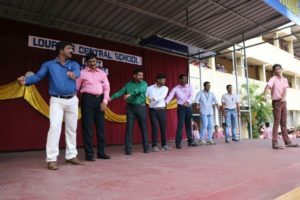 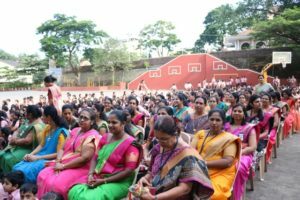 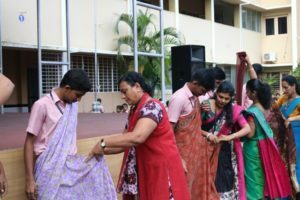 Various games were conducted for the teachers like dance challenge, sari draping competition, a quiz and a ‘Guess the Movie’ game. 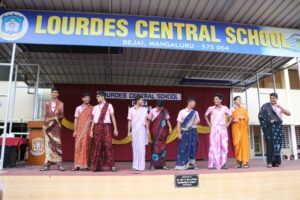 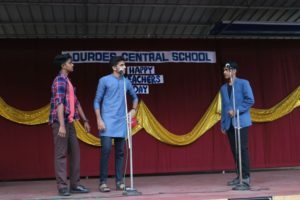 There was a breathtaking dance by the students of class 11. 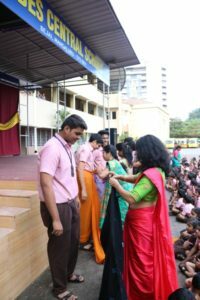 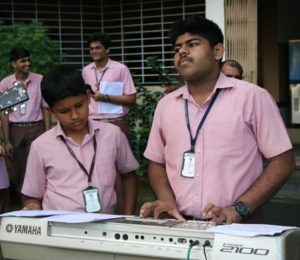 The birthday children and teacher were wished and the programme concluded with the Vote of Thanks by the Head Boy Aditya Desai. 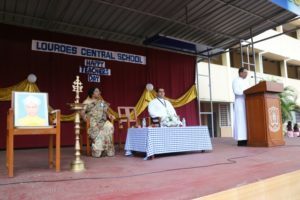 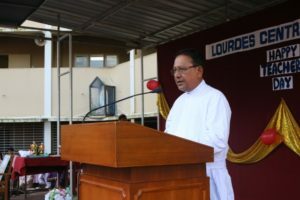 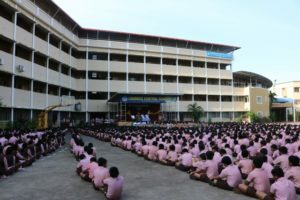 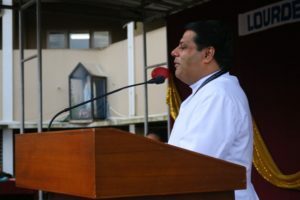 On a surprising note, Father Principal then called upon the organising committee and thanked them for all their efforts that had led to this successful programme and with that the students and teachers dispersed.